I had been purchasing the same deodorant for the past few months. I came to a realization that the deodorant I was using was no longer living up to it's expectations. Motherhood can get a bit crazy and I am constantly on the go. Meaning I need a strong full protection deodorant by my side. Spring and Summer are hot in Texas and it was time for me to upgrade to a better and stronger deodorant. 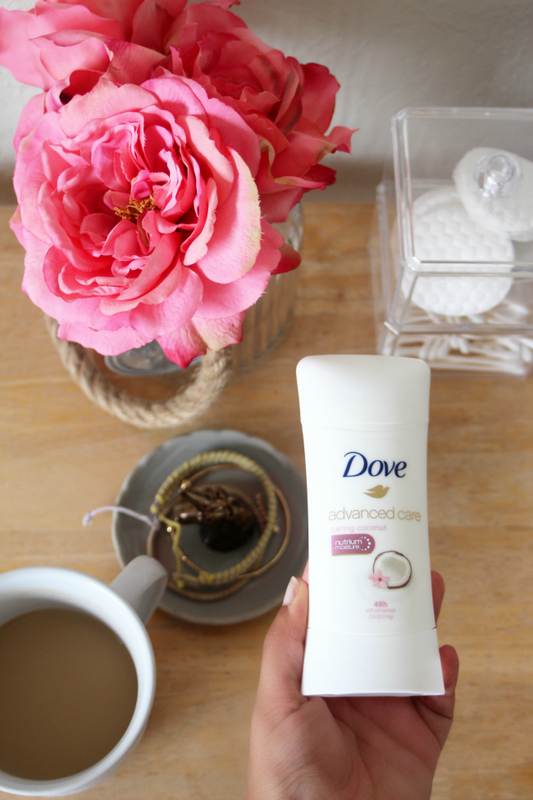 I've partnered with Dove to tell you all about their Dove Advanced Care Antiperspirant. I needed something that would keep me dry and odorless for as long as possible. 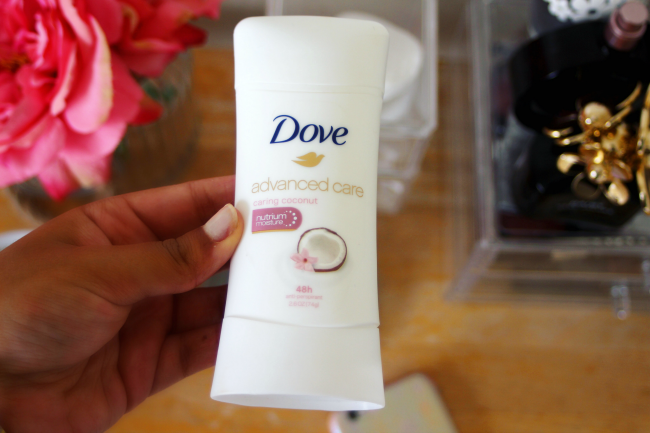 Dove Advanced Care Antiperspirant offers 48- hours of odor and wetness protection which immediately intrigued me to purchase. 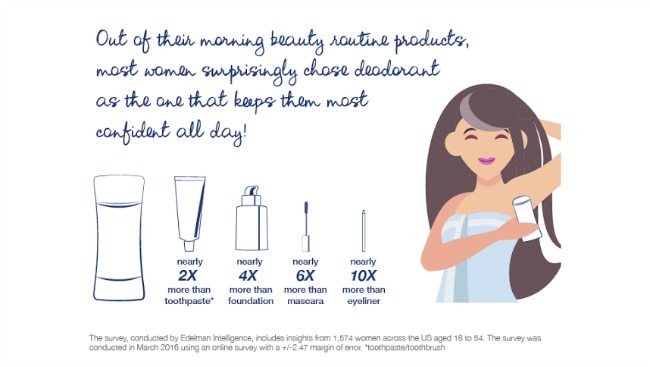 Aside from full protection Dove Advanced Care offers skin care benefits. It's NutriumMoisture formula leaves my underarms feeling soft and smooth which makes it an essential upgrade for my daily beauty routine. First thing I do each morning, aside from brushing my teeth and drinking my morning coffee, I apply deodorant. 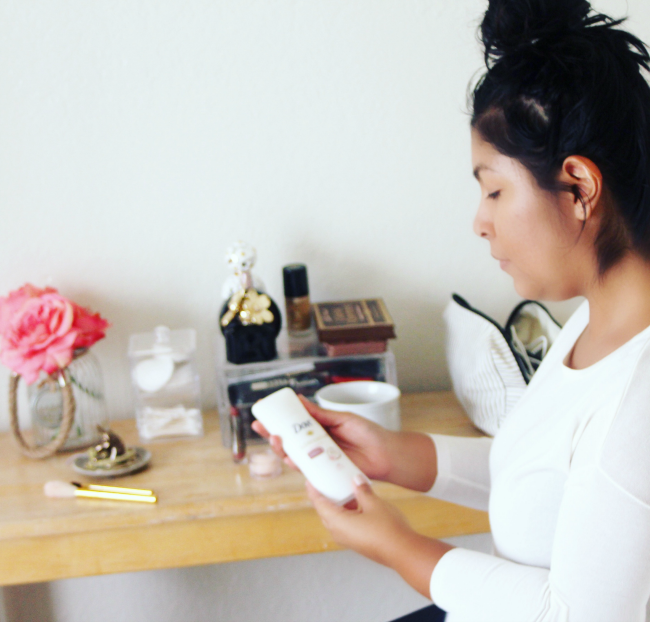 Out of all my beauty routine products, deodorant it the one item that keeps me confident all day. 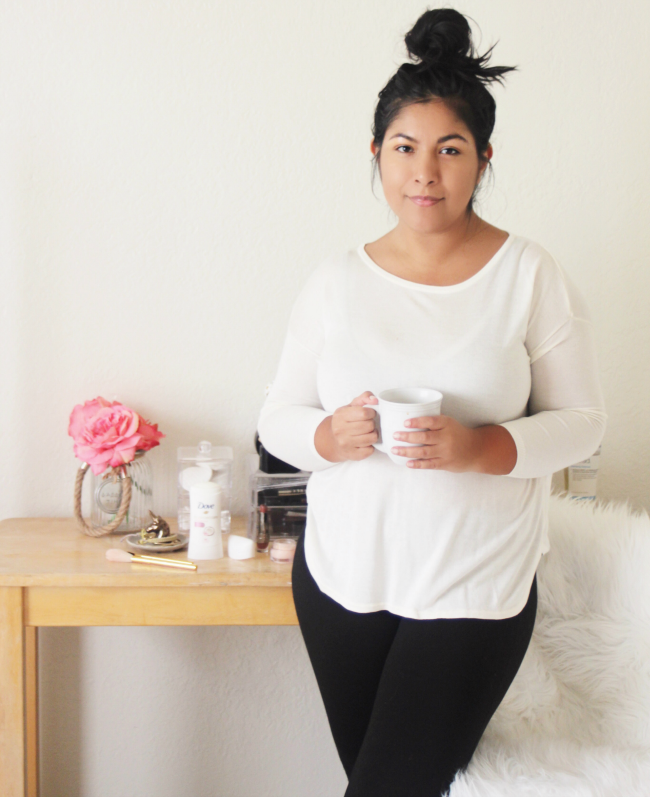 Since I stared using Dove Advanced Care I know my under arms are loving me. I know I will be wearing short sleeves soon. 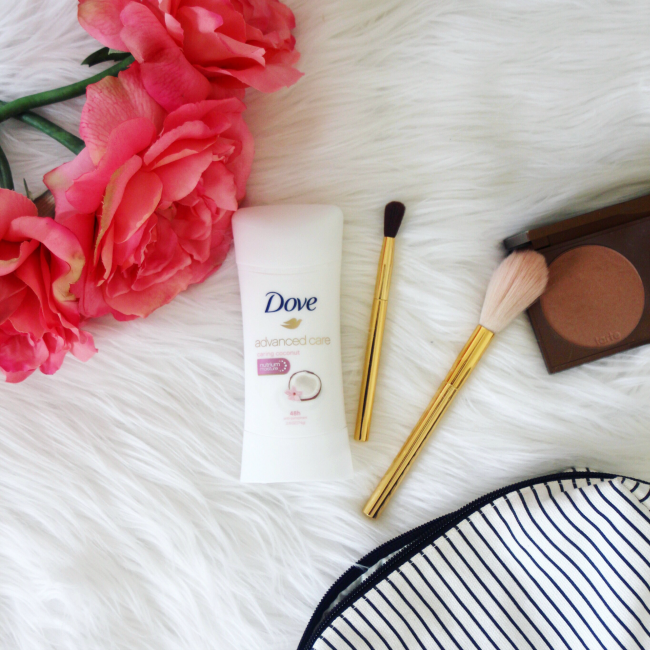 There is something about Dove Advanced Care that makes me feel confident and clean. Especially on those long and hot days. 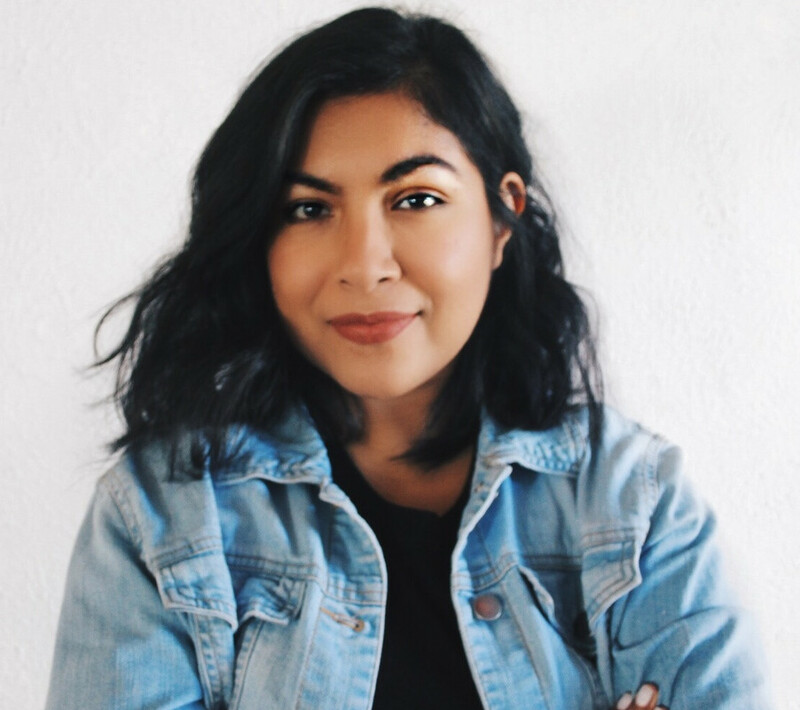 I will be completely honest there are days that I forget to apply deodorant and with any other deodorant I feel self-conscious, which happens to 87% of women. 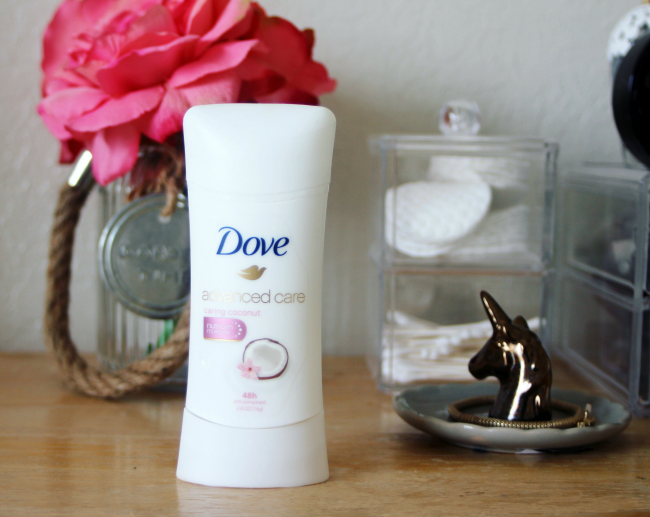 But knowing that Dove Advanced Care has my back for 48-hours has me worry free. I can now continue doing my daily activity plus being super mom to my fun and crazy toddler. This is definitely my new go-to deodorant. Caring coconut is by far my favorite scent but I am eager to give every single scent a try. 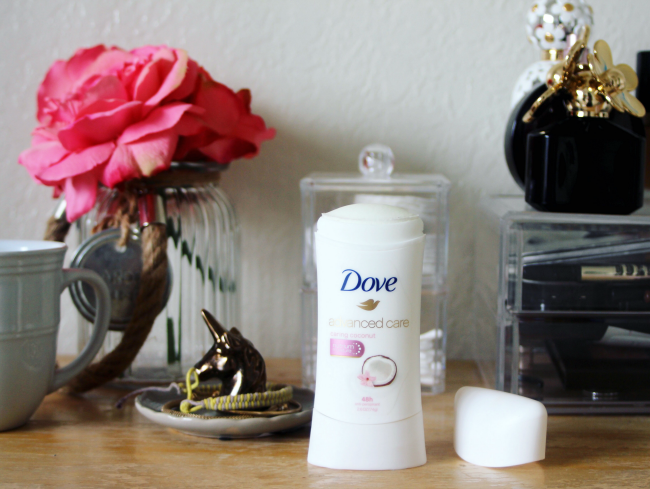 Does your deodorant offer what Dove Advanced Care does? Give it a try and give your beauty essentials an upgrade! Dove is the only deodorant I use. Love it!!! Dove beauty products are no doubt one of the most widely recognized brands of skin care products today. How did Dove start as a company and how did it evolve into the cosmetic giant that it is today? Dove Advance Skin Care Products are available with innumerable purposes. One can make use of the brands to fight acne, age spots, age signs, wrinkles, skin dryness, skin elasticity, skin inflammations, bacterial outbreaks and other common skin related issues.